With less than a year to legalization, a new challenge has surfaced: a shortage of high-quality legal cannabis. 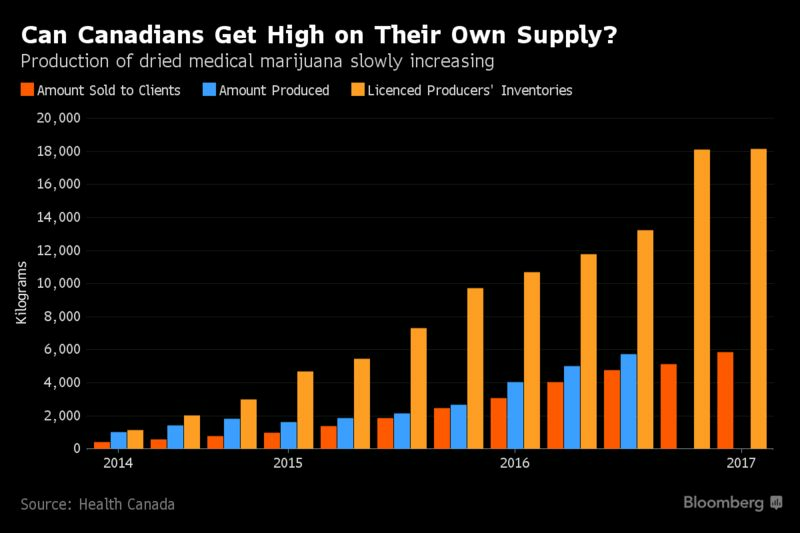 The supply crunch stems from the fact that demand for medical marijuana has outstripped production. The number of registered clients under the Access to Cannabis for Medical Purposes Regulations (ACMPR) is growing by 10% a month, while the number of licensed producers (LPs) remains largely stable due to the intensive application process, which can take years. At this time there are 50 LPs across Canada, with 187 new applications in the review stage. Historically, LPs under the ACMPR sought to ramp-up production by seeking amendments to their existing licenses to allow the expansion of current production facilities – a process typically more expedited than seeking a new license for a new facility. Aphria Inc., for example, intends to expand its current facilities’ production capacity from 8,000 kilograms per year to 75,000 kilograms by 2018. Health Canada has responded to the perceived supply shortage by streamlining the application process to become an LP. The changes are designed to accelerate the approval of LPs and increase production levels to meet anticipated demand. Health Canada’s changes are also expected to speed up approvals for amendments to existing licenses. 1. The LP approval process timeline will accelerate. Health Canada will allocate more resources toward processing applications, particularly at the review, intake and screening stages. Health Canada will conduct personnel security screenings and reviews simultaneously, rather than waiting until security screenings are completed before conducting detailed reviews. 2. Production licenses and security clearances will be valid for longer. Newly-issued and renewed licenses will now be valid for a three-year period, the maximum allowed under the current regulations. New and renewed security clearances may now be valid for up to five years, the maximum allowed under current regulations. Health Canada retains the power to suspend security clearances pursuant to receiving material new information. 3. Utilization of storage capacity will increase, and production limits will increase to match storage capacity. LPs are now allowed to increase production to the maximum amount they are authorized to store, based on the capacity and security of their vaults. LPs are now permitted to store low-value waste products, for example leaves, in a secure area rather than in a secure vault. This will increase available storage for finished cannabis products in the vault. 4. It will become easier for LPs to expand their operations. the proposed modification falls within an existing security perimeter. The Cannabis Team at Aird & Berlis has substantial experience in advising licensed producers, late-stage applicants and other ancillary players in the cannabis industry in all aspects of their businesses. For more information, please contact any member of the Cannabis Team.